Just thinking about what to post today when I read this. 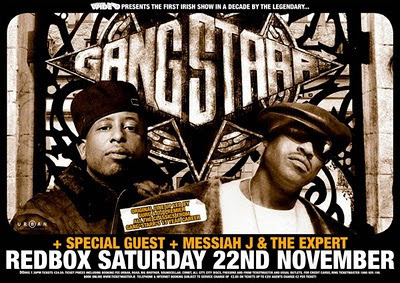 Guru of Gangstarr is in a coma following a heart attack. Hope he makes it through... This 2 colour billboard poster is from, I think, 2003 when they came back to Ireland for the first time in 10 years. It's a big duotone print, something I'd avoid at all costs these days.